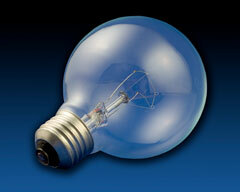 The most common source of home lighting is still the tungsten-filament light bulb. This incandescent bulb has changed very little since it was invented more than 100 years ago. How does it work? Well, a coil or filament is encased in a thin glass bulb that contains either a vacuum or a mixture of inert gases. When the bulb is attached to a power source, electricity passes through the filament, which quickly heats up and glows white. At some point the bulb burns out; the metal in the filament evaporates and gradually blackens the bulb with deposits. Eventually, the filament can no longer carry the electrical current. There's a good reason why the incandescent bulb continues to be the most popular choice of lighting among homeowners. Incandescent light is inexpensive and can be found just about anywhere, including the local convenience market, the grocery store, and the hardware store. Another advantage to incandescent lighting is the type of light it throws. Incandescent bulbs are warm, emitting most of their light in the yellow to red end of the spectrum. Their color temperature of about 2,900 degrees Kelvin gives incandescent light bulbs a warm cast that is only a little cooler than candlelight. Incandescent lights come in many wattages, and they require no special equipment to operate. In fact, they can be run directly from the main electricity supply. Incandescent bulbs require no warm-up time, but heat up to full illumination when they are switched on. Incandescent light doesn't have any spikes in its spectral pattern, which makes it good for color rendering. 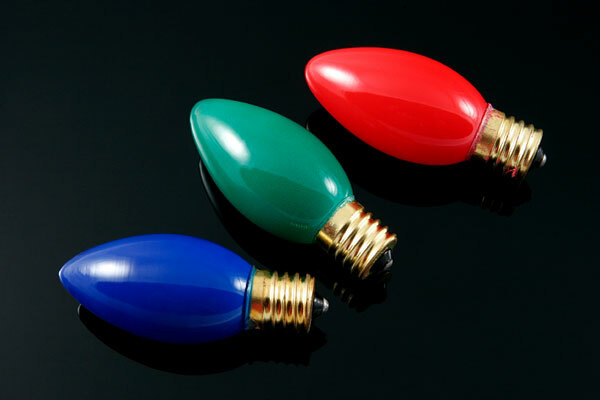 Incandescent lights can be dimmed by reducing the voltage that reaches them. Another benefit is that they contain no toxic chemicals. Depending upon the lighting effect you desire, incandescent light bulbs are available in a wide variety of shapes, sizes, and types, from standard base light bulbs to tiny candle bulbs. Their typical wattages range from about 15 to 200, and the bulbs may be clear, frosted, or colored. For patent information and commentary about the invention of incandescent lamps, visit the Smithsonian Institution's Thomas Edison's Incandescent Lamp web page.